When Alexander Imich has born on Feb. 4, 1903, the subway hadn&apos;t yet opened, Teddy Roosevelt was President, and the first World War was over ten years away. More than 111 years later, Imich, who lives on New York&apos;s Upper West Side, has just been certified as the oldest man in the world. Imich gained the title after Italian supercentenarian Arturo Licata died at the age of 112. He was born in Poland, but fled with is wife after the Nazis invaded in 1939. (His wife died in 1986.) 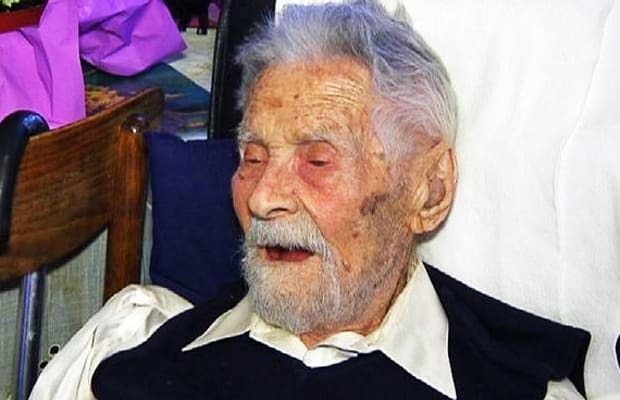 Though Imich says he stayed healthy because of his diet of chicken, fish, and abstinence from alcohol, he&apos;s blasé about the title of World&apos;s Oldest Man. "I don&apos;t know, I simply didn&apos;t die earlier," he says. For what it&apos;s worth, Imich may be the oldest man in the world, but he&apos;s surpassed by 66 women even older than he is. Misao Okawa, of Japan, is currently the world&apos;s oldest person at 116.